If you're looking for a fishing chair with rod holder look no farther. Surprisingly, there aren't too many different chairs like this one the market. The chair has a strong and durable aluminum frame that makes it lightweight and easy to travel with. It has a storage bag for travel or storage. 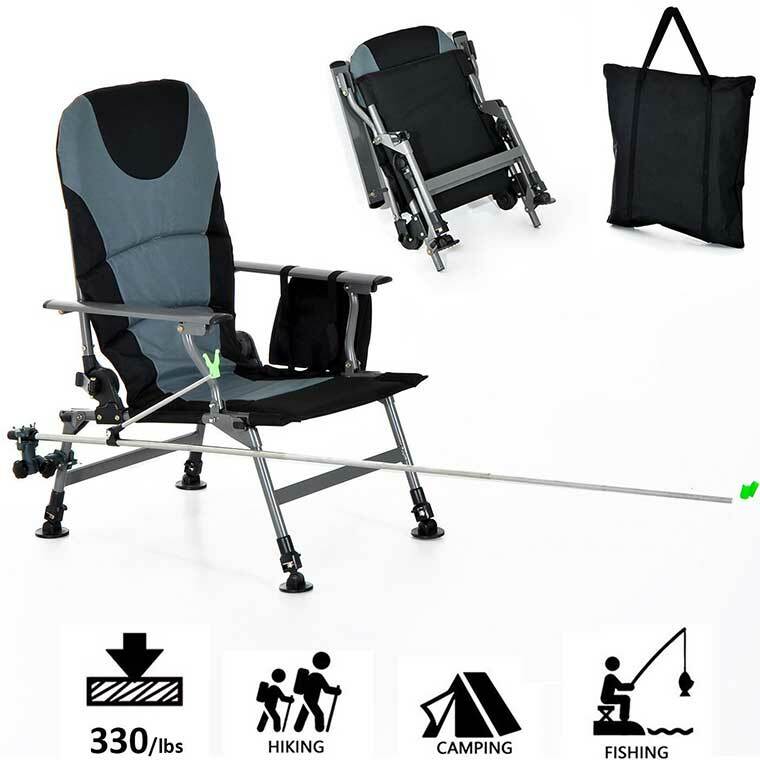 With a folding fishing chair with rod holder fishing just got even more relaxing. The foam supported cloth material is very comfortable and easy to wipe clean. 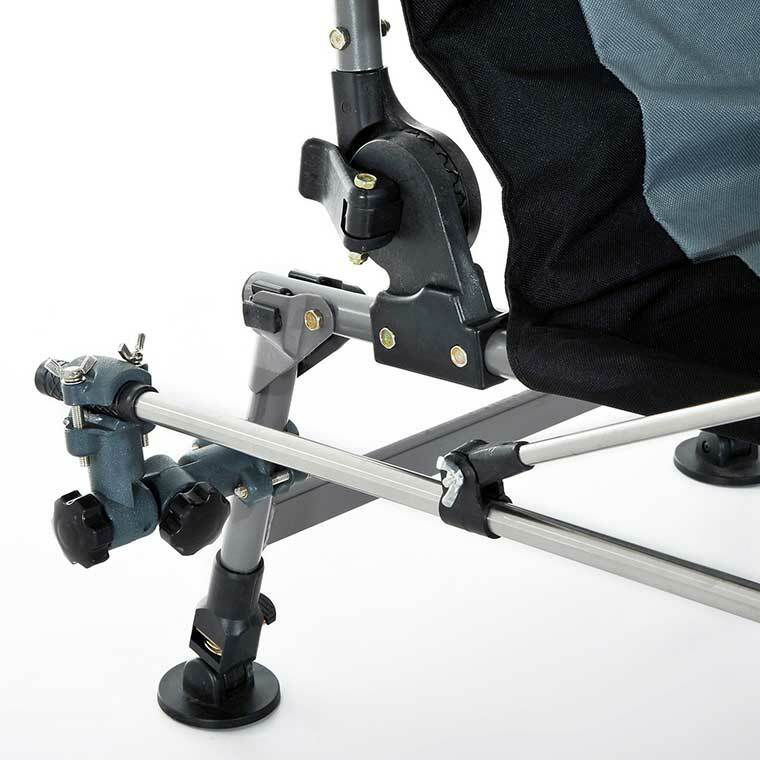 The chair has multiple store compartments and the rod holder itself. The chair can support up to 330 pounds. This product is perfect fort hose that love to hike, camp, and fish! If you have any questions or experience with this chair let us know in the comments!